Perhaps no other medieval composer has captivated the interests of popular audiences, scholars, and the religious faithful as Hildegard of Bingen. She is by far the most famous composer of plainchant, and her 77 liturgical chants and morality play have found a happy place today in the repertoires of both religious congregations and classical and New Age artists alike. More works can be definitely attributed to Hildegard than any other composer from the Middle Ages. The melodic variety of Hildegard’s chant, ranging from the highly florid works of her early years to the more restrained chant, reflect her intimate familiarity with chant genres and the compositional practices of late medieval chant. Where Hildegard’s musical brilliance shines brightest is the sublimity of the liturgical poetry that accompanies it. Hildegard claimed—as in so many other areas of her talent—that, “without being taught by anyone, since I had never studied neumes or any chant at all,” she “composed and sang chant with melody, to the praise of God and his saints.” (Life of St. Hildegard, II.2) The chants that she composed represent nothing less for Hildegard than a recurring theophany, or physical sign of the presence of God. Each day, as she and her sisters sang the hours of prayer and psalmody at the heart of their liturgical service to God, they participated in the “Symphony of the Harmony of Celestial Revelations” (Symphonia armonie celestium revelationum), the title she gave to the collection of her compositions. For Hildegard, music rises almost to the level of a sacrament, channeling the perfection of divine grace from the heavenly choirs down to us, where we reflect the symphony in the blessed joy of song. She sees an intimate connection between chanting the “Work of God” (Opus Dei) as part of the monastic life according to the Rule of St. Benedict and the eternal yet dynamic “Work of God” of creating, sustaining, and perfecting the world. This overarching story of salvation forms the fundamental theme of many of her musical compositions, told in the symbolic economy of poetry. When the Word of God, by speaking (or singing?) which God created the world at the beginning of time, became a human being, fulfilling his eternal predestination, the world was set on its perfect course and the malicious plots of the Devil were brought to nothing. While it is impossible to accurately date all of Hildegard’s musical compositions, it has been generally assumed that the majority of them date to about 1140-1160. Each was written for specific days and celebrations in the Church calendar. More than half of Hildegard’s compositions are antiphons; the shorter of these verses were sung before and after each set of psalms during monastic prayer, while the longer ones, known as votive antiphons, may have been free-standing pieces sung during various liturgies, including perhaps processions. Other musical forms are the responsory, a series of solo verses alternating with choral responses sung at vigils (matins); hymns, which were sung at various times during the monastic office (but never at Mass); sequences, sung between the Alleluia and Gospel at Mass, in which each strophe has its own common melodic motifs shared between its two versicles; and a Kyrie and an Alleluia-verse. Hildegard’s music is widely considered to be original, idiosyncratic even. The Latin texts, which are rhapsodic and sometimes elliptical, are closely aligned with an ornate musical style that extends the boundaries of contemporary practice. The uniqueness of the Symphonia songs lies in the inextricable relationship between words and melody, which goes beyond the theorists’ grammatical associations of text and music and crosses into the realm of the rhetorical. The principles of Christian rhetoric as set forth by St. Augustine inform the monastic devotional practices for which the music was designed. The musical gestures that are characteristic of Hildegard’s melodies are deployed so as to add force to the words in accordance with the (rhetorical) aim of moving the listener, and thus the songs can be regarded as sonic analogues of the lectio divina and even the sermo absentium. 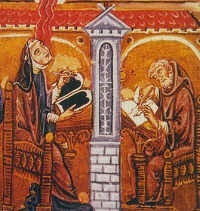 Hildegard claimed to be uneducated. Among the autobiographical passages included in her Vita by Gottfried of Disibodenberg, she states, “I had scarcely any knowledge of letters. An uneducated woman had taught me.” As university study of the trivium and quadrivium were off limits to women in that era, the learning she acquired in letters and music would have been informal. She was taught to read and to play the psaltery by her mentor, Jutta, the “uneducated woman.” According to her own words, she learned music without having been taught: “Moreover, I composed and sang a song with music in praise of God and the saints without being taught by any human being, although I had never learned either neumes or any other aspect of music.” Such proclamations of ignorance would not have been atypical for a woman in the twelfth century. Women had few rights, and public speech was by and large forbidden to them. Though enclosed religious women had more options for literacy, including musical literacy, than their secular counterparts, it was the norm that their writings and compositions would not circulate outside of the community. As we know, Hildegard was initially fearful of the consequences of revealing and recording her visions and only did so after she received permission from the ecclesiastical authorities. Even then she waited until her reputation as a prophet was secure before she ventured to speak boldly in public and to undertake preaching journeys. For those with acute and eager minds more readily learn eloquence by reading and hearing the eloquent than by following the rules of eloquence. There is no lack of ecclesiastical literature, including that outside of the canon established in a place of secure authority, which, if read by a capable man, even though he is interested more in what is said than in the eloquence with which it is said, will imbue him with that eloquence while he is studying. And he will learn eloquence especially if he gains practice by writing, dictating, or speaking what he has learned according to the rule of piety and faith. But if those who hear are to be moved rather than taught, so that they may not be sluggish in putting what they know into practice and so that they may fully accept those things which they acknowledge to be true, there is need for greater powers of speaking. Here entreaties and reproofs, exhortations and rebukes, and whatever other devices are necessary to move minds must be used. For the Christian in this period, speaking (in the forms of teaching and preaching) was not optional but a requirement of caritas (“divine love”). It was especially incumbent on those who held positions of spiritual authority to speak. While preaching had as its aim to move the listener toward virtue and a right moral course, its methods relied more heavily on Scriptural authority and personal virtue than on the formal procedures of classical argument. The ultimate aim of the ars praedicandi was to persuade, but listeners were not to be moved by the logic of the argument so much as they were encouraged to awaken themselves to the activity of the proper spiritual path of which they were already aware in theory. In this way, the signs and other rhetorical devices employed by the speaker were more properly understood to be merely evocative triggers. Under this approach, formally organized narrative was less important than the “bits and pieces of language,” signs and suggestive imagery that aid the goal of self-persuasion. These principles are also evident in the lectio divina or sacred reading that was an essential component of monastic devotion. Texts were read slowly and mouthed aloud. The intent was to firmly fix an image or idea in the mind of the reader with the aim of encouraging self-motivation, in a fashion similar to the hearing of a sermon. Narrative again was less significant than the individual elements of language. Sentence structures were more likely to be episodic or to run together a stream of images than to serve a linear plot. Readers were also to be able to begin anywhere. Such fragmentation encouraged a focus on individual words and images and was consistent with rhetorical enargeia or “bringing before the eyes.” Vivid imagery, embellishment, and elliptical run-together phrases are signature features of the Symphonia songs and thus are consistent with the format of the lectio divina. 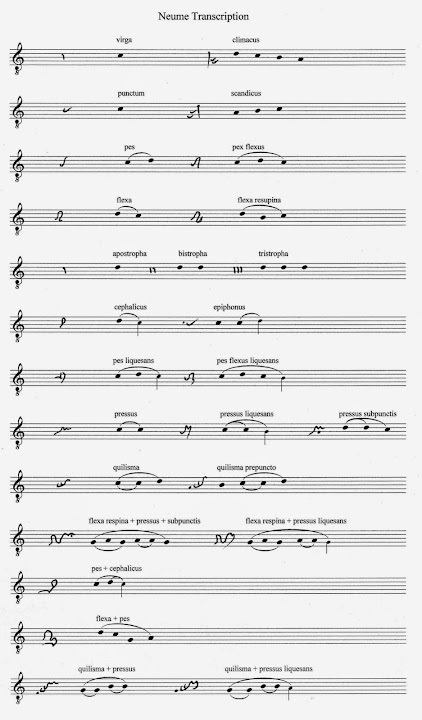 When the texts are considered in relation to the unusual melodic architecture, a unique musical form of monastic meditatio emerges. That Hildegard would apply selected rhetorical strategies to song is not really surprising. As head of the community, she had a certain license to encourage devotion along creative lines. We see evidence of at least one inventive and unconventional practice in her communications with the Abbess Tengswich (Tenxwind). Mistress Tengswich objected to Hildegard permitting (probably more likely encouraging) her nuns to dress in white, with crowns and veils on their unbound hair for certain high feast days. Hildegard defended her decisions in a long response and gave as her reason the special place held by virgins in the celestial hierarchy. Though the original perfection was lost, hearing earthly music enables humans to recall their former state and functions as a moral force that assists them in their ongoing moral quest. But a man’s soul also has harmony in itself and is like a symphony. As a result, many times when a person hears a symphony, he sends forth a lamentation since he remembers that he was sent out of his fatherland into exile. Thereby, both through the form and quality of the instruments, as well as through the meaning of the words which accompany them, those who hear might be taught, as we said above, about inward things . . .
Of the harmonies . . . I want to have one warlike, to sound the note or accent which a brave man utters in the hour of danger and stern resolve . . . and another to be used by him in times of peace and freedom of action, when there is no pressure of necessity, and he is seeking to persuade God by prayer, or man by instruction and admonition, or on the other hand, when he is expressing his willingness to yield to persuasion or entreaty or admonition, and which represents him when by prudent conduct he has attained his end. Music has different powers according to the different modes. Thus, you can by one kind of singing rouse someone to lustfulness and by another kind bring the same man as quickly as possible to repentance and recall him to himself. Since music has such power to affect men’s minds, its use in the Holy Church is deservedly approved. [A]ffections of the subjects that are sung [about] correspond to the expression of the song, so that melodies [neumae] are peaceful in tranquil subjects, joyful in happy matters, somber in sad [ones], [and] harsh things are said or made to be expressed by harsh melodies. The first precept [for composing chant] we give is that the chant be varied according to the meaning of the words. Consider, then, that just as everything that is spoken can be written, so everything that is written can be made into song. Thus, everything that is spoken can be sung, for writing is depicted by letters. Thus, in verse we often see such concordant and mutually congruous lines that you wonder, as it were, at a certain harmony of language. And if music be added to this, with a similar interrelationship, you will be doubly charmed by a twofold melody. Just as in verse there are letters and syllables, ‘parts’ and feet and lines, so in music there are phthongi, that is, sounds, of which one, two, or three are grouped in ‘syllables’; one or two of the latter make a neume, which is the ‘part’ of music; and one or more ‘parts’ make a ‘distinction,’ that is, a suitable place to breathe. Regarding these units it must be noted that every ‘part’ should be written and performed connectedly, and a musical ‘syllable’ even more so. In prose, where one makes a pause in reading aloud, this is called a colon; when the sentence is divided by an appropriate punctuation mark, it is called a comma; when the sentence is brought to an end, it is a period. . . . Likewise, when a chant makes a pause by dwelling on the fourth or fifth note above the final, there is a colon; when in mid-course it returns to the final, there is a comma; when it arrives at the final at the end, there is a period. The theorists’ discussions of the relationship between music and text remain within the bounds of general correspondences between modes and the mood of the texts and the use of key modal tones as analogues of linguistic grammatical devices. In view of this, the close alliance between text and music in Hildegard’s songs represents an unprecedented innovation. Her musical style is unique, not so much because of the originality of any particular element, but because of the composite of its structural gestures. This unique style can be attributed, at least in part, to the alliance Hildegard envisioned between monastic devotion and music as a heightened communicative mode. Acting under the mandate for a Christian to speak as a teacher and preacher, Hildegard undertook the writing of theological books, preaching journeys, correspondence with a large outside audience, and the composition of music. While the theological books and sermons were addressed to an outside audience, the music was intended primarily for performance within the community. Hildegard’s letters are of special interest to our argument, as they are consistent with certain protocols of the ars dictaminis (“art of letter writing”). According to Baird and Ehrman, one of the functions of the medieval letter was that of the sermo absentium (the speech of those who are absent). Letters were rarely intended only for their designated recipients, and because they were usually meant to be read aloud to their wider audience, they served as mini-sermons. Hildegard’s letters fit this profile.One of the key innovations of the ars dictaminis was the separation of the salutatio and the exordium, respectively the salutation and securing the good will of the recipient through praise. While some of Hildegard’s letters follow this protocol, many omit the salutation altogether. Curiously, the salutatio and the exordium are regular attributes of the Symphonia songs. The architecture of Hildegard’s music breaks many of the rules of musical decorum and extravagant speech. Though elaborate chants existed in the repertory, the Gregorian standard had not been abandoned. The uniqueness of her style evolves from a creative reworking and expansion of what she heard, but the real innovation lies in the rhetorical use of musical structures to highlight the text and even to contribute to meaning in their own right. That said, it must also be pointed out that not all of the Symphonia songs are equal in their rhetorical import or musical complexity. As the reader will see from the transcriptions, there is considerable variety among genres and pieces within the genres. While certain songs or song groups were most likely composed for the nuns’ performance and devotion, others (e.g. those for the patron saints of other communities) might have been written for outside audiences. Moreover, as the songs articulate aspects of Hildegard’s theology, her preferences for particular themes also inform the stylistic features of individual works and groups of songs. The rhetorical features of the Symphonia songs are most closely associated with the epideictic genre and the procedures of the lectio divina and the sermo absentium. Epideictic form presents a subject for praise or blame. The idea is to set forth a model for contemplation before the eyes and ears of the audience. The traits of the subject serve to move the listener toward spiritual progress in accordance with the goals of the ars praedicandi. The devices of formal argument are absent, and the attributes of the subject serve in their place. Many songs begin with a salutation (salutatio) that is frequently set melismatically and outlined by the final of the mode. The elaborate forms of praise that follow the salutatio in many of the songs are consistent with the exordium identified by the ars dictaminis. Key points and images are heightened by the musical substructure. While some pieces contain a petition to God or to a saintly figure to uplift or pray for the supplicants, the petitio is usually not the primary muscial focus. Other song texts are more akin to the sermo absentium, in which a theological theme is articulated. These pieces rely more heavily on narrative, in which the key ideas are typically accorded musical emphasis. One of the protocols of rhetorical organization that is a regular feature of Hildegard’s songs relates to the organization of the texts in which the most important ideas are stated first. The musical architecture underscores this hierarchical principle in several ways. The opening phrases are often set in the low or middle range, and the melody ascends as the intensity or importance of the message increases. The music typically attains the highest pitch on words or phrases that are most significant. These ideas might also be further emphasized by an approach that contains a leap of a fifth and sometimes also a consecutive leap of a fourth. The first stated ideas are also often set melismatically, while the secondary themes receive less intense syllabic or neumatic settings. Loose parallels can be drawn between the musical language in the Symphonia songs and rhetorical style in the text settings. The syllabic, neumatic and melismatic settings might be considered analogous to the low, middle and high styles of classical eloquence. Hildegard’s use of text settings is variable. Some songs are set entirely in one format, while others contain a mix of style. Text setting does not always carry high rhetorical import, but rather is used strategically in selected instances. When the settings are mixed, melismas are typically assigned to the most important key words/images. Breaking from a neumatic or syllabic style in this way again draws the ear’s attention and adds emphasis to the image assigned a melisma. Many songs are entirely melismatic in construction. In them emphasis, is achieved by placing the longest and most melodically elaborate melismas on key words or phrase segments. Again, the length and pitch registers build in intensity often in accordance with the significance of the textual themes. Phrases and individual words or images are typically outlined by the final or other focal modal tone, usually the fifth. This practice accords with standard chant procedures but also takes them a bit further. While the theorists advised that the phrases should end on the final or fifth of the mode, Hildegard also used these tones to open a phrase and to outline specific words in melismatic settings. In line with Hildegard’s idiosyncratic Latin and the elliptical nature of the lyrics, phrases often begin on the final but end on the fifth. This strategy has the effect of creating a suspension that serves to connect ideas and phrase segments. Resolution on the final signifies the end of the phrase or series of phrase segments. In a number of songs, non-standard punctuation is also found, in which tones that do not have grammatical significance are used as demarcators or in which the phrasing seems random. Again, this is consistent with an understanding of the Symphonia as a varied collection. Finally, the strategic placement of repeated melody serves to connect words, ideas, or themes in a way that would have been easily understood by the listener in this period. While modes were characterized and distinguished by melodic motives specific to each, and repeated melody was a standard feature of contemporary chant, Hildegard once again takes the practice in an expanded direction. The arrangement of melodic segments is not random but rather carefully designed. The effect is to create a musically founded subtext in many of the songs. Repeated melodies also appear in the extensive melismatic conclusions to certain songs. There they function as a type of musical (and thus rhetorical) peroratio or summing up, recalling the previously articulated themes and images to which they had been assigned. 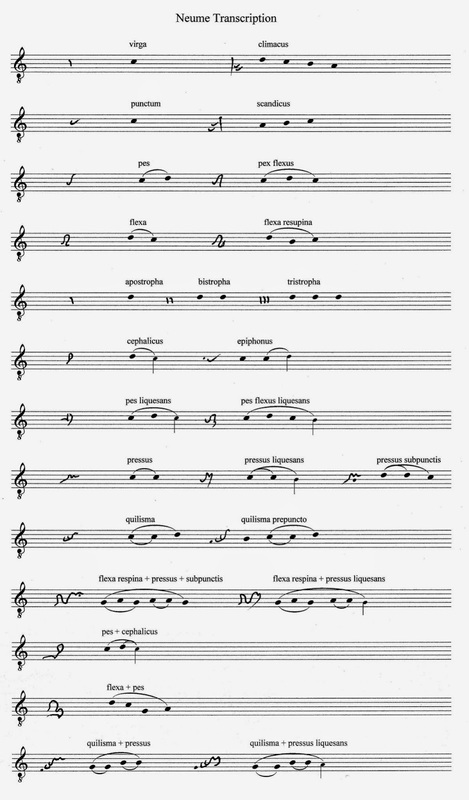 In respect to this form of musical rhetoric, the songs that comprise Hildegard’s Symphonia, represent a unique contribution to musical style. Their often elaborate structures, though they evolve from and draw upon standard and contemporary chant forms, extend the conventions of these genres. The musical architecture is not random but carefully constructed in an inextricable alliance with the texts, whose own originality articulates aspects of traditional theology as well as Hildegard’s own views. As such they serve the goals of monastic devotion, including meditation and preaching, and are consistent with the rhetorical practices and procedures of the Christian speaking arts. In the still primarily oral culture of the twelfth century, the subtleties of using music as an adjunct to words would not have been lost on the audience. Rather, as listening, singing and even composing from memory would have been the norm over reading and writing, the facets of Hildegard’s songs that might not be readily perceived by the modern listener would have been implicitly understood by contemporary auditors and performers. The transcriptions of Hildegard’s Symphonia armonie celestium revelationum that are part of this project are taken from the facsimiles of the Dendermonde (D) and Riesenkodex (R) manuscripts. Following the generally accepted scholarly conclusion that the Dendermonde manuscript is the more authoritative source, the songs are transcribed from it, and the differences with the Riesenkodex are noted above the staff lines and labeled. The transcriptions aim to render the melodies as close to the way they appear in the sources as possible, though other published transcriptions have also been consulted at times. No editorial additions have been made. Phrasing decisions are based on the premise that Hildegard intended a close alignment between words and music. Noteheads are used to depict single neumes. Slurs indicate neumes that are intended to be sung on one breath. Liquesents are represented by a small stemmed note and are connected with a slur. Neumes such as the climacus and scandicus, which contain multiple pitches and are composed of the virga and punctum, have not been connected in any way (dotted slurs were rejected as too cumbersome), and the reader will have to infer their presence. Apostrophic neumes are notated as single noteheads, but the repetition of the same pitch two or three times in succession should be enough to guide the reader. The chart to the right shows the transcribed equivalent used for each neume in the manuscripts. In cases where a single pitch is different or absent in one source or the other, the notehead is enclosed in parentheses for clarity, and the discrepancy labeled. When more than one pitch is involved, brackets with a note are inserted above the staff. Extensive disparities are written out in full on an ossia staff placed above the passage in question. Ornamental neumes are frequently dissimilar in these sources. These differences are labeled with the name of the neume that is found in R, and these notations are placed above the transcribed figure of the neume that appears in D. The reader should refer to the Neume Transcription Chart above for the specific transcriptions of the ornamental neumes. The transcription of Bb is also based on the Dendermonde source. Bb’s that are signed in D are signed in the transcription; Bb’s that appear only in R are notated above the staff. No editorial flats have been added. Modal “irregularities” have not been edited or otherwise regularized in these transcriptions, though they are usually discussed in the musical commentary following the transcription. With the exception of the capital letters that identify the beginning of each verse in hymns, sequences and other songs with multiple versicles, there is no punctuation in the manuscript sources, and thus none has been introduced into the transcriptions. Capital letters appear in the lyrics of the transcription in accordance with verses, but phrasing decisions are based on our best interpretation of the intimate rhetorical relationship between text and music and the organizational principles involved. Whenever possible, phrases occupy a single line in the transcription. In those instances where the length of a segment is too long, it is continued to the following staff and a tick barline inserted as a guide; the “Transcription and Notes” section following each song gives details about such phrasing as necessary. In most cases, phrases are outlined by the final or fifth of the mode. Occasionally, another pitch serves this function. Important words are also demarcated this way when set melismatically. Quite often a phrase or phrase unit will begin on the final but end on the fifth. This serves to create a type of suspension in which resolution to the final is delayed. Generally, these units are transcribed one to a line. The greatest challenge we encountered in transcribing the songs is that the musical and textual phrasal units do not always coincide. We were able to resolve some of these issues but not all, and the reader will note that there are occasional difference between the translations and the phrase breaks in some of the transcriptions. There are a number of reasons for this. Hildegard’s Latin usage can often be idiosyncratic. As word order in medieval devotional Latin is not as significant as it is in modern vernacular texts, musical sense prevailed over textual integrity in some instances. The musical structure also appears to be idiosyncratic in some songs, while others are constructed in closer accordance with the theorists’ prescriptions for musical grammar, which specify phrase endings on the final or fifth. One particularly vexing rupture between musical and textual prosody involves Hildegard’s frequent use of the upward leap from the final to the fifth (sometimes followed by an additional leap of a fourth to the octave) as an opening gesture. This tactic has rhetorical significance in that the disjunct motion catches the ear of the listener and thus serves as an emphatic gesture. Difficulties arise when this standard opening gesture breaks the syntax in awkward places. In particular, there are several pieces in which Hildegard sets a conjunction (e.g. et, quod, or ita quod) on the final and the first word of the next phrase on the upward leap of a fifth. In normal Latin prosody, however, the phrasal break should occur before the conjunction, not after it. We treat these situations individually, and the explanations for our transcriptions decisions are given in the notes that follow each song. The Latin texts have been adapted from the critical edition of the Symphonia by Barbara Newman, in accordance with the editing principles outlined above. The translations, however, are wholly new, and attempt to strike a balance between poetics and literal accuracy, offering, as it were, a middle ground between the two translations that Newman includes for each piece—an ultra-literal one and one whose poetry often takes flight beyond the bounds of the original. For the most part, they are free verse with a simple iambic rhythm, taking their phrasing as much as possible from Hildegard’s musical rhetoric. In those pieces in which her use of specific poetic devices such as alliteration or word play is particularly strong, the translations attempt to reflect these, in their own limited way. In some pieces, Hildegard’s use of unique themes and tropes has been allowed to expand the boundaries of translated meaning a bit, to render perhaps more clearly the theological density and symbolic economy of her poetry. In conclusion, the transcriptions presented here attempt to remain as close as possible to the rendering in the manuscript sources. As there are a great many unknowns in how this music might have been performed, such as the use of additional flats, phrasing, or emphatic gestures, we leave it to singers to consider a variety of interpretations of the less straightforward elements. It is our hope that the transcriptions, translations, and commentary will promote ongoing dialogue with this unique music among performers, scholars, and music lovers. Hildegard von Bingen. Lieder. Faksimile Riesencodex (HS. 2) der Hessischen Landesbibliothek Wiesbaden, fol. 466-481v. Edited by Lorenz Welker, with commentary by Michael Klaper. Wiesbaden: Reichert Verlag, 1998. Hildegard of Bingen. Symphonia harmoniae caelestium revelationum. Dendermonde. St.–Pieters & Paulus ABDIJ. Ms.
COD. 9. Facsimile. With an introduction by Peter van Poucke. Peer, Belgium: Alamire, 1991.
and Joseph Schmidt-Görg. Salzburg: Otto Müller Verlag, 1992. Hildegard of Bingen. Symphonia armonie celestium revelationum. Vols. I-VII. Ed. and trans. Marianne Richert Pfau. Bryn Mawr, Pa.: Hildegard Publishing Co., 1997. Hildegard of Bingen. Symphonia: A Critical Edition of the Symphonia armonie celestium revelationum. Ed. and trans. Barbara Newman. Ithaca and New York: Cornell University Press, 1988; 2nd ed., 1998. When this project is complete, each entry will be linked to an individual song page that includes the text and translation, a musical transcription and recording, commentary, and further resources. After the song title (taken from the first line of each piece), the entries below indicate genre and dedication (including calendar day if the piece is for a specific liturgical feast); folio references in the Dendermonde (D) and Riesenkodex (R) manuscripts; and our English translation of the title. The organization and order follows the critical edition of Barbara Newman; she follows the hierarchical principles established in D but includes all pieces that appear in either manuscript. We appreciate your work very much, so that each of us can contribute to enlarge the knowledge about Hildegard. We do it trough the music. Grazie, grazie, grazie!!! State facendo un lavoro fantastico!!! Vi auguro ogni bene!!! Ottimo lavoro! Ad majora semper! Merci infiniment pour ce travail si approfondi : votre site est une mine d'informations, spécialement sur le plan musical qui est peut-être un domaine d'accès plus difficile. L'oeuvre de Hildegarde est très peu connue en France : c'est une véritable découverte. Surtout, continuez ! Vergelts Gott auch aus Deutschland. Es gibt zwar viele Literatur über die hl. Hildegard bei uns, aber nirgends die Lieder in 5-Zeilen-Schrift. Dies suche ich nun seit 30 (!) Jahren, auch im Kontakt mit dem Kloster in Eibingen. Sie haben aber dort leider nichts. Nun endlich hab ich es gefunden! Einige Lieder kann ich schon. What a great page this is! At the moment I am particularly looking for a (more or less) modern edition of "O ecclesia, oculi tui" from Office for St. Ursula and her companions (nr. 64 at this list). Would it be possible to make a wish for that song to be laid out soon? Thanks for your inquiry, Daniel! Unfortunately, the project is currently in hiatus, and when we return to work on it later this year, we will pick up where we left off, i.e. we are going in the order listed above. Nevertheless, we'll consider whether we might be able to accommodate your request. I'm writing about Hildegard for my Music History 2 course and this page has helped me tremendously. Thank you for all the work you've put into this. thank you for spreading this immensely inspiring music. I would like to ask where could I find some instrumental works/ music that can be used as perfromed with instrument solo or an instrumental accompaniment proposition...? You can play Hildegard's music on a solo instrument. If you want some type of accompaniment, you can use a drone. As you can see from the transcriptions, Hildegard typically uses the final or fifth of the mode to outline phrases. You could employ these tones as drones as per the individual phrases. Of course it can get complicated when she departs from these conventions - you would just have to get creative. The music is also nice alone on a solo instrument - I play it on recorder. Here are some musicians that play a lot of Hildegard music. You might consider reaching out directly via the websites. I've found they're responsive. I hope this helps! I'm a composer and have been asked to create an instrumental setting of O rubor sanguines (no. 61 on your list). Unable to find a transcription of this chant in modern notation, and inept in deciphering nuematic notation, I began transcribing this chant from recordings. It's fairly accurate based on the performance I transcribed. However, it would be very helpful to me if I could find an authoritative transcription. Can you (or anyone else) help in this area? On the page for O Rubor Sanguinis, there's a recording by Anonymous 4 that starts with Magnificat Anima Mea. I can't find this piece anywhere on the list. Where would I be able to find it? Thank you! The Anonymous 4 recording is from their album "11,000 Virgins", which recorded the entire Office for St. Ursula. As such, they included a setting of the Magnificat from the Ahrweil Antiphoner, to give the antiphon more concrete liturgical context.